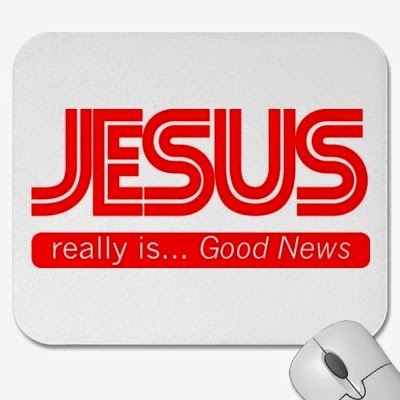 The Good News at its heart is a declaration that Jesus Christ is in charge, he is Lord of all. The resurrection of Jesus was a vindication of his claims to have "all authority" and that he had a special relationship to God the Father (I and the Father are one). Jesus's death was in obedience to God the Father and in it he accomplished his great victor over sin and death. The Good News is that Jesus in in charge, the Good News is also that Jesus in his death has wind for us the victory over sin and death. This latter victory means that those who recognise him as Lord and choose to follow him get to receive the blessing of eternal life that he brings. This receiving of eternal life as a free victory gift from Jesus is also called being "born again". This is all so well known even Wiki gets it right, as we discussed on The Good News Show recently. But it needs to be appropriated personally to be effective, that is, each person needs to not only know it, but act on it. And to act on it is to believe.